Roanwood Hancock, 2005 blue roan gelding by Funny B BlueMuchaman, out of A Genuine Drift. 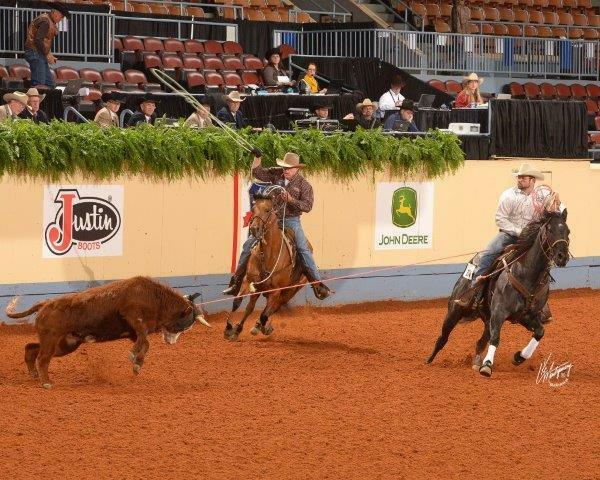 AQHA Performance ROM and World Show Qualifier in Heading/Heeling 2013 & 2014. 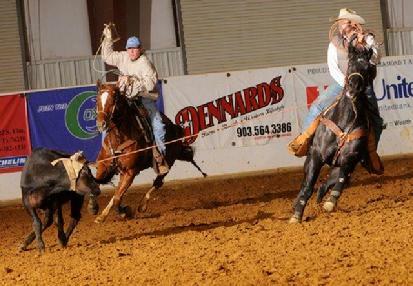 AQHA points in Heading & Heeling. Shown by Nelson Aaron. 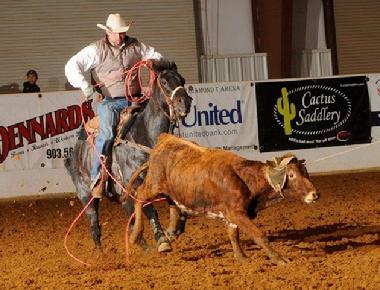 Roping successes achieved by Aaron Ranch, Commerce TX..